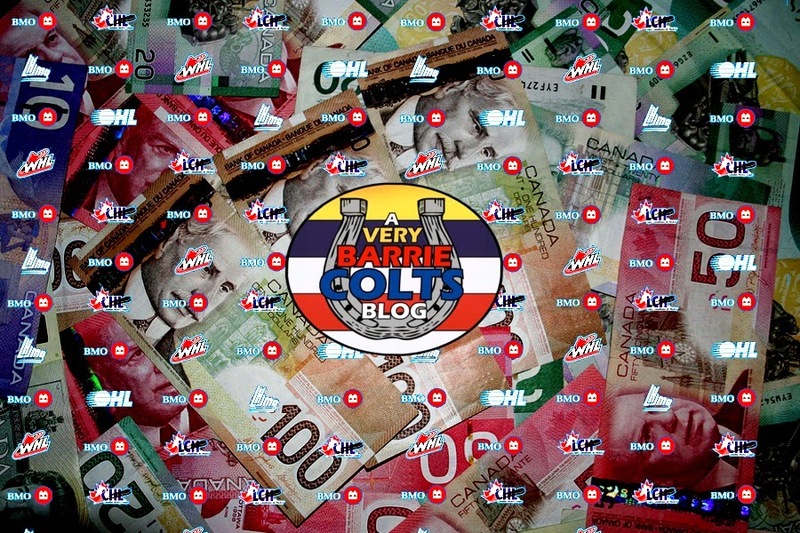 CHL and Barrie Colts Lawsuits. Are players being treated poorly? 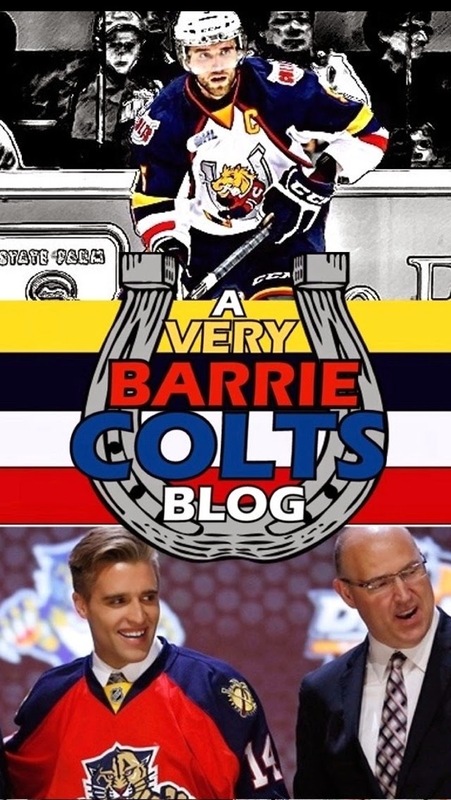 #OHL #CHL - Very Barrie Colts | A website covering the Barrie Colts of the OHL. Ted Charney, a lawyer based out of Toronto has filled a lawsuit against the Canadian Hockey League for $180 million dollars. The suit hopes to get teams to take into consideration that players in the league are employees and as employees deserve to make at least minimum wage. Do they have a point here? The CHL provides cities across Canada and some USA cities with what they want. Cheap, local hockey. Does this mean that players under the CHL umbrella deserve to not be compensated greater than they are? The CHL says that they offer more than just the small amount of money that players receive. Not only are players eligible for scholarships, but teams offer billets (homes to stay in that are provided by the team. Usually local families that take care of the player, feed them, make sure they are able to get around and so on..) as well as providing equipment, medical expenses and covering travel expenses. It could be easily argued that even if players receive minimum wage, would that mean the team would no longer offer these things? Minimum wage would not cover a fraction of these expenses. Charney's response to Branch was “David Branch clings to the scholarships because it’s the only thing he can think of to justify paying $50 a week,” Charney said. “There’s a bunch of hoops players have to go through to get those scholarships." One thing to take into consideration is that these scholarships are in most cases, not the reason why players are interested in making the CHL. It is safe to assume, they are there with the ultimate goal of cracking the NHL. And is there a better place to get that chance? At the last NHL draft, 95 players drafted were drafted as players in the CHL. 95 players of 210 drafted were seen in the CHL. For those of you who hate math, that is 45%. This last draft, Aaron Ekblad was chosen first overall. That made him the 8th straight player that was picked first overall while playing in the CHL. Of the first round of the last draft, 20 of the 30 players selected were from the CHL. These numbers don't even reflect how important the CHL is for hockey development. Following the 2014 NHL draft, 10,388 CHL players have been drafted into the NHL since 1969. That number represents just under 50% of the NHL draft picks in that time. So the CHL might not pay the players a respectable wage, but they offer a place to not only develop their skills but the offer a stage that has the NHL's attention. And the CHL doesn't only help on the ice. Many of these teams get local coverage on television. Meaning a chance to work on "Mic skills". Learning how to handle media and being interviewed live on television. Is a small wage a sacrifice to earn the best chance available for making an NHL team? This lawsuit has shed light on an existing lawsuit that hasn't really been reported that surrounds our Barrie Colts. Former Barrie Colt John Chartrand who was a goaltender for the Colts in the 2010-11 season. On December 21, 2010 John was in a car accident. The accident was pretty bad. John was reported to be knocked out when emergency teams showed up and the "jaws of life" were required to get him out of the car. Reports say that Colt's team officials showed up at the hospital and it was made clear that John suffered a concussion and that he was not cleared to play until doctors said that all the concussion symptoms were gone. Chartrand ended up playing his next game on December 31, 2010 against the Brampton Battalion. 10 days after his accident. It is said that he received more concussions following this and the team is said to be responsible. For more info on this case, check out this TSN post which covered it in more detail. Is the team responsible? At the time, John was a top ranked goalie at the time to be drafted into the NHL. It would be silly to assume that John didn't want to make a quick return with hopes to continue to impress scouts. It is easy to look back at a case like this and blame a team without considering the wishes of the player at the time. No doubt, a team should take care of the best interests of the players, but when do players need to take responsibility for themselves? Had John been drafted into the NHL and had a career there would this case exist? Both cases come down to one thing. Money. As we mentioned earlier, the CHL is a business. Not only for itself, but for the players and the NHL . It is easy to want to be compensated by a league after your career is over, but do current players want this? Would making a couple hundred extra dollars a week be worth it in the end? Afterall, one thing to consider is that if players prices go up, so do ticket prices. The CHL offers not only local entertainment, but a platform for NHL hopefuls to realize their dream. If teams lose customers at the expense of greater player wages, what happens if the league can't continue? That would mean that since 1969, half of the players drafted in the NHL might not have had the chance to be noticed, and might not have made the big leagues because of that. We are not talking about players making some extra cash at this point because it is likely that they might not have had the chance to make NHL money. The CHL doesn't have a players union. It is not likely that if there was a vote about the current state of the CHL that current players will say anything bad. Would they like more money? No doubt they would! They are mostly made of 16-20 year old boys. They want more money. But do they want to do it at the expense of losing CHL teams or losing the chance to be noticed by the NHL? Because if player wages go up, there is a solid chance that many CHL teams will have to fold in the long term. This not only hurts the CHL and the players but it hurts the NHL and hockey. At the end of the day, the lawyers are the ones getting rich. What are your thoughts on the current lawsuit?